From their breakthrough second place finish in 2017, John Smith and navigator Grant Manion #445 have gone one better in 2018, claiming the ARB Australian Off Road Racing Class 4 Championship at the seasons final round. 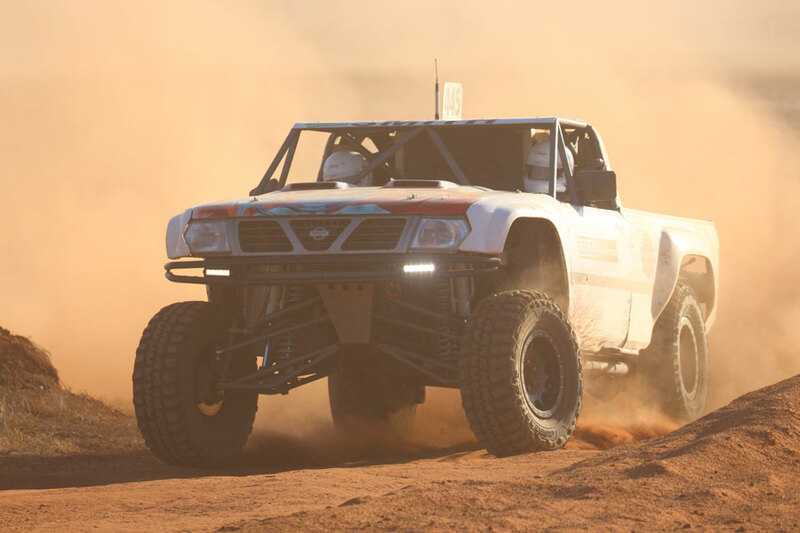 From their South Australian base, Smith Racing have been a model of consistency throughout 2018, campaigning their JS MK1 Trophy Truck to a 100% record of class podiums. With a full ARB season under their belts in 2017, Smith and Manion knew what they were in for as they set off for the ARB Town and Country Tyres Stackpole 400 at Griffith in March, excited and quietly confident of their 2018 title chances. Unfortunately for Smith, a gearbox drama ended their Stackpoole 400 campaign early, though a second in class behind close rival Paul Grant kick-started the season long battle. The Mildura Rural City Council ARB Sunraysia 400 was up next, held on Keera Station 50km out of Mildura, the endurance event once again proved to be one of the harshest on the calendar. Smith went trouble free, ploughing the home made machine through the sandy terrain to a third in class and 17th outright; a great reward after a disappointing debut in 2017. 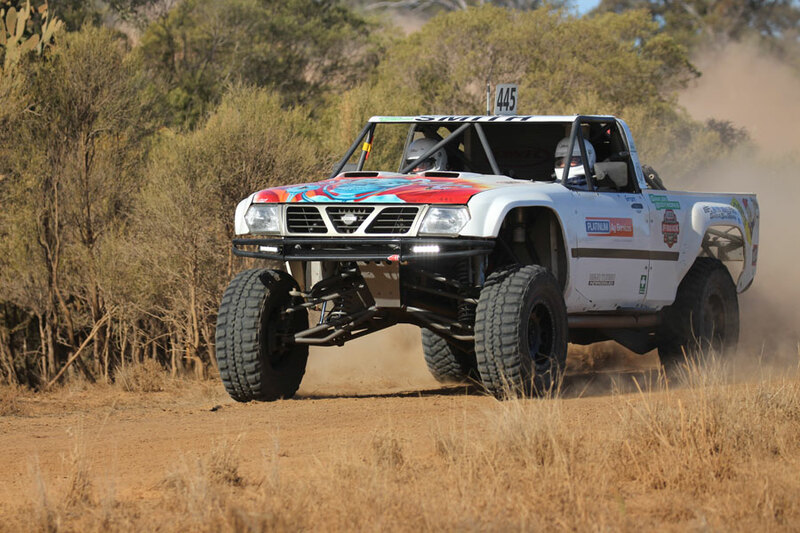 With the season well and truly underway, Smith was poised and ready to continue the championship battle at the Haeusler’s Mallee Rally ARB 400 over the June long weekend. Straight out of the box Smith prologued the #445 second in class, some achievement considering it was the largest class contingent of the season. Sunday was just as smooth, after four clean laps of the fast, damp Sea Lake circuit. Smith and Manion earned themselves a Class 4 win and a 13th outright, the season was shaping up nicely. 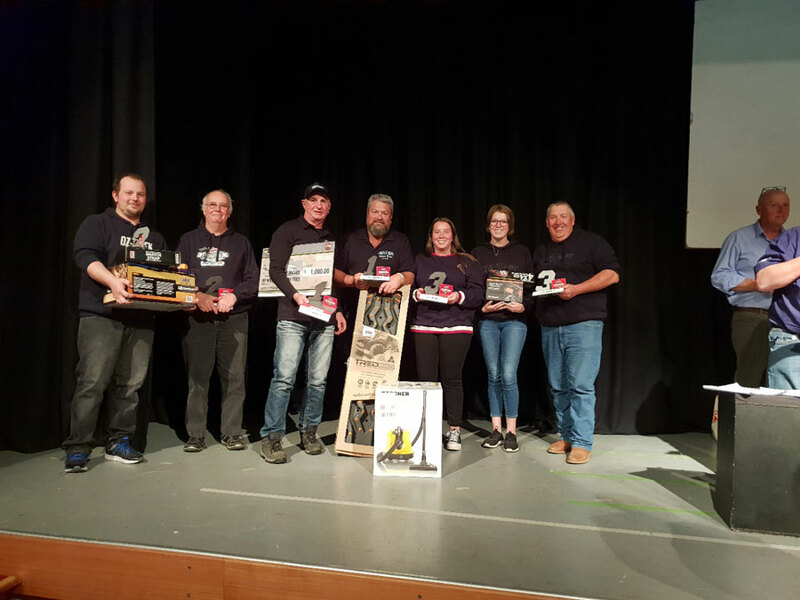 Prior commitments meant the team had to forgo the Waikerie Hotel ARB Riverland 300, which pushed them back to second position heading into their longest road trip to the Queensland border town of Goondiwindi. With another extremely competitive field of Class 4’s assembled for an attack of the renowned melon holes, Smith got his campaign off to a solid start, fifth in class and 27th outright at Saturday’s end. Confidence grew on day two as Smith found a nice rhythm through arguably Australian off roads harshest terrain. An incredibly flawless Sunday saw Smith and Manion cross 11th outright and second in class; the perfect result after a disappointing early exit in 2017. On return to their home state Smith and Manion remained in second place; next up was the ARB Australian Off Road Racing Championship grand finale at the Teagle Excavations ARB Pines Enduro, which would ultimately decide the class battle. Another impressive Saturday for Smith who completed the short course action second in class and 19th outright, placing him well for an all-out assault on Sunday’s laps. In sync with the back end of their season, Smith and Manion took the Championship result into their own hands, a terrific run through the Tantanoola Pine Forest saw them finish 11th outright and with another class 4 victory. 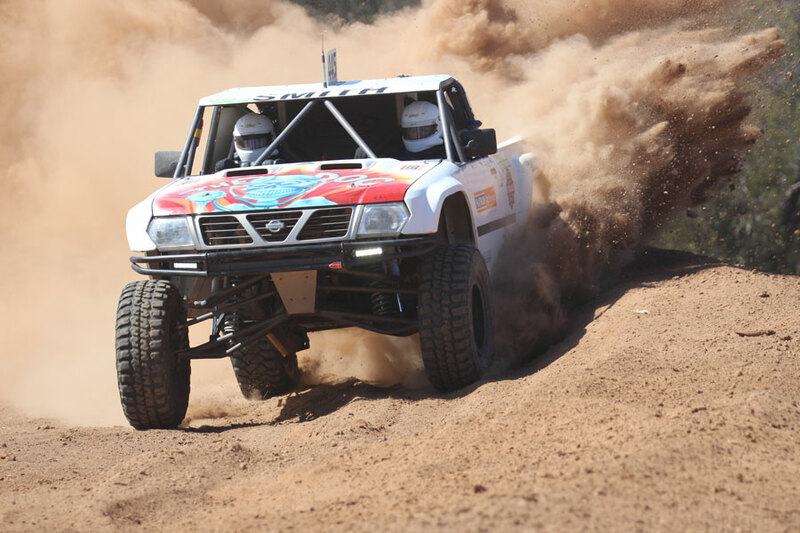 With 4 of the 6 rounds counting towards the ARB Australian Off Road Racing Championship, Smith and Manion’s two class victories, two second places and a third was enough to place fifth outright and secure a maiden ARB Australian Off Road Racing Class 4 Championship. The silverware a deserved reward for the effort put in by all at Smith Racing after narrowly missing out on the Class 4 title 12 months earlier. 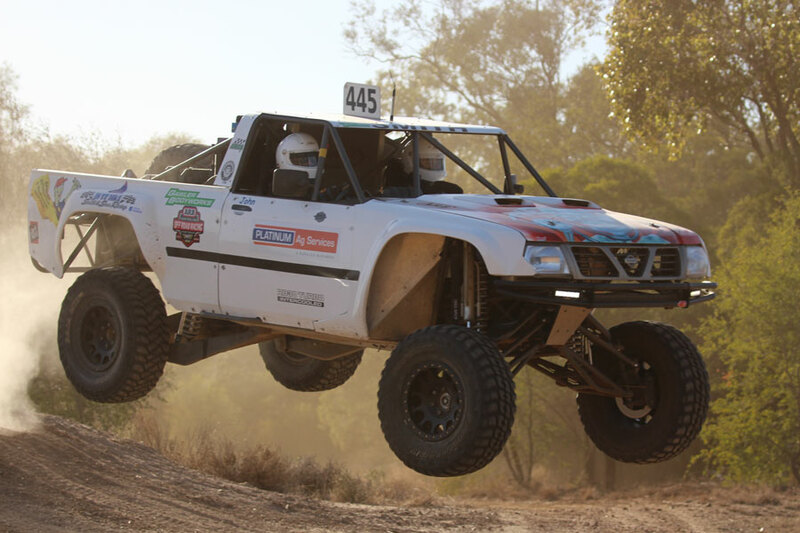 Just for fun and games, Smith also competed in the Off Road Masters at Moorex in July where he came home seventh outright and second in class, whilst the season was rounded out at the recent Loveday 350 with another class win and fifth outright the result. Seven races for seven podiums in 2018; it was a near perfect season for Smith Racing and despite a new JS MK2 truck in build, the #401 will more than likely be out for a title defence. Also set for the track in 2019 will be the new Class 1 Phoenix frame buggy designed and built by Smith Racing as well as a revamped #415, ensuring it is going to be another hectic season for Smith and crew. Smith and Manion’s success and enjoyment for off road racing would not be possible without the ongoing support of Gawler Body Works, Platinum Ag Services, Gawler Automatics and Barossa Discount Tyres. See you on the track in 2019 - #401.